Step by Step Management of Lower Limbs Deformity is another addition in the “Step by Step” series for Orthopaedic conditions which aspire to The Pocket book for nutshell treatment of various disorders. This book, though not directed to any particular audience, may be suitable for medical students or orthopaedic residents in early years of training or residency. It is unlikely to be of any significant benefit to one seriously considering deformity correction as a career. The book accelerates through various steps in deformity correction starting from understanding the deformity and planning deformity correction, then onto Ilizarov fixation and various facets in its execution. Case reports and complications are presented in conclusion, which may be useful for certain audiences. Dr. Kanojia is Assistant Professor, Department of Orthopaedics at the famous Postgraduate Institute of Medical Education and Research in Chandigarh, India. Dr. Kanojia has been involved in various publications, predominantly dealing with back pain and its management, amongst other things. Dr. Kanojia has drawn his inspiration from Dror Paley, and also other leaders, in this exciting subspecialty, the notable ones in India being Mangal Parihar and G.S.Kulkarni. The book, though apparently starting with various sections, appears to mix and sadly mash most of them together. Apart from cursory and personal references this book fails to excite the reader at all. 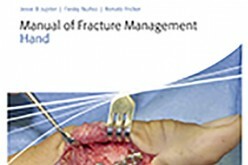 Many illustrations are reproduced here and most seem to be neglected trauma or extreme cases of infections in open fractures which is still a large threat in the developing nations. These clinical scenarios are unlikely to be ever experienced in the developed world, except in parts of rural Africa or Asia. Most clinical photographs accompanying the text are of extremely poor quality with negligible attempts at enhancement or editing. In many such photographs the anatomic location of the frame depicted is unclear and it is frankly difficult to estimate the proximal or the distal end of the limb. Some illustrations are frankly grotesque. Most cases demonstrated deal with simple deformity correction or deformity correction that should not be attempted simply by factual and scientific recommendations against them. Of particular note in this category which finds mention here are the few cases of congenital pseudarthrosis of the tibia. In others many photographs indicate that the patient may have been better treated with amputation in the first place rather than complex frames being used in management. Many photographs such as the one entitled, “a scene of roadside accident” end up wasting valuable space and convey nothing. Some interventions and recommendations are way too simplistic and are unlikely to be able to stand peer-review or statistical analysis. 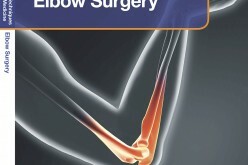 Deformity correction has focussed totally on external fixators and ring fixators and the title does not justify the contents which need to include more comprehensive coverage of various other modalities available to justify its title. The various framed depicted are basic and the book does not deal with current availability, advances or sophistications in the technique elsewhere in the world. The colloquial style of writing and the rampant errors in spelling and grammar make poor reading eg. “Hybride” (sic). Anecdotal cases, personal opinions and reference to deities are appropriate for a patient education feature in a local neighbourhood weekly newspaper, but this does little to enhance its popularity amongst the physician community. 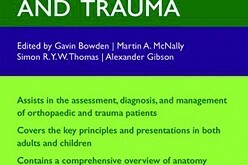 This book might be useful for the medical student who is planning to do his trauma elective in a developing country. It is common knowledge that in most such countries they have poorly funded state run hospitals where support and equipment is in too short a supply. It is amazing that physicians there actually do what they do with the limited resources available, compounded by abject poverty. The cases illustrated do indeed reflect the massive workload at some of these institutions. And it is no doubt creditable that the author has dealt with such a significant volume of cases. This book is only 170 pages long, is pocket sized and is easy to carry and leaf through in a matter of hours. Unfortunately I found the book uninteresting, uninspiring and entirely dispensable.